My Study Life is a cross-platform planner for students, teachers and lecturers designed to make your study life easier to manage. 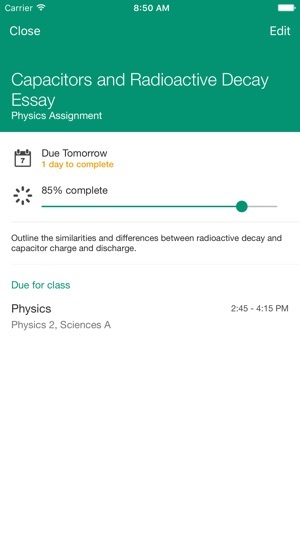 My Study Life allows you to store your classes, homework and exams in the cloud making it available on any device, wherever you are. Unlike a paper planner or school diary, My Study Life integrates all areas of your academic life - see homework due and overdue for classes, classes which conflict with your exams and even add revision tasks for a specific exam - all in a free, easy to use application. Far from your standard calendar, My Study Life is optimized to work for your school life right from the start with support for week and day rotation schedules. 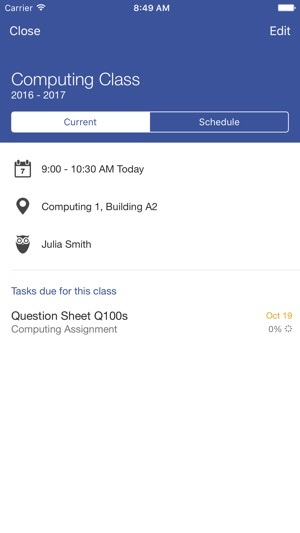 Add your classes and view them in a beautiful, instantly identifiable, familiar week view. My Study Life seamlessly syncs your data between devices, allowing you to use the app even when offline. You can add a task on the move from your phone or tablet and it will be instantly available on the web app. 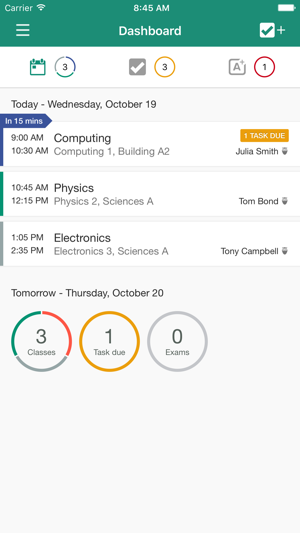 Track your tasks - homework, assignments, reminders and revision. Store your tasks with ease in the cloud, accessible anywhere. Store exams - keep those all important exams alongside your classes and revision tasks. Manage your classes - your paper planner, turbocharged. Supporting day and week rotation timetables, advanced academic year/term support and integration into tasks you’ll wonder how you ever lived without it. 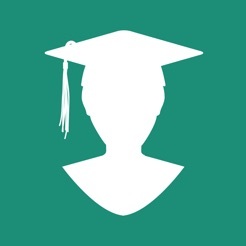 Get notified - reminders for unfinished tasks, upcoming exams and classes before they even start. 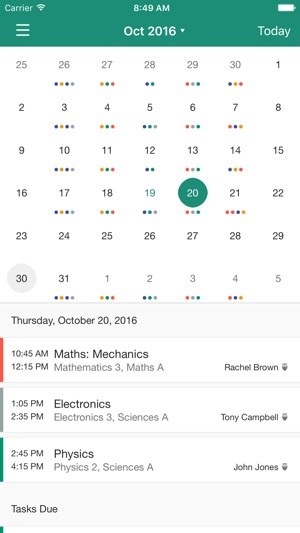 Share – My Study Life allows teachers to create and share their timetable securely with students in the same school. It’s one of the best study apps I have but.. This is the best app I’ve been able to find for keeping track of exams and assignments. It would be great if you could add events or due dates to the calendar that aren’t necessarily associated with a specific class. For example, if I need to submit money to the head of a club for my club T-shirt by a certain date. Or if some professors offer extra credit to students who attend a certain fundraiser or event. Other than that I’ve been very happy with the app itself. It offers versatility in the ways you can view the calendar. One thing I might change is the full month view showing the color-coded dots for each class you have every day. I’d rather it just show dots for exams and assignment due dates, or at least have the option to change it that way in the settings. Would definitely be a 5 star review with those two tiny changes! This is a wonderful app!! 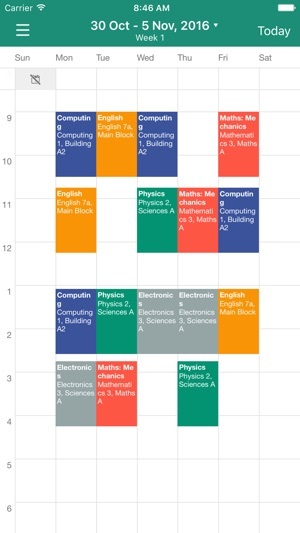 It has really helped me to organize my schedule and helped to make sure i don’t forget any assignments. That being said, I would really love if you could add in a professor’s office hours just so that you could have all info about a class in there (unless maybe you can and i just couldn’t figure it out). It would also be nice to be able to set an assignment as recurring, because for many of my classes I have to do homework every week for class. Also, it would be wonderful if you could add a specific time (like 1:30 pm) for when a task must be done rather than just the whole day, and be able to see it on the calendar. This app could be absolutely perfect but there are just a couple things that are keeping it from being the only scheduling app i need. © 2017, My Study Life, Ltd.